Canaletto – Tatton Park. 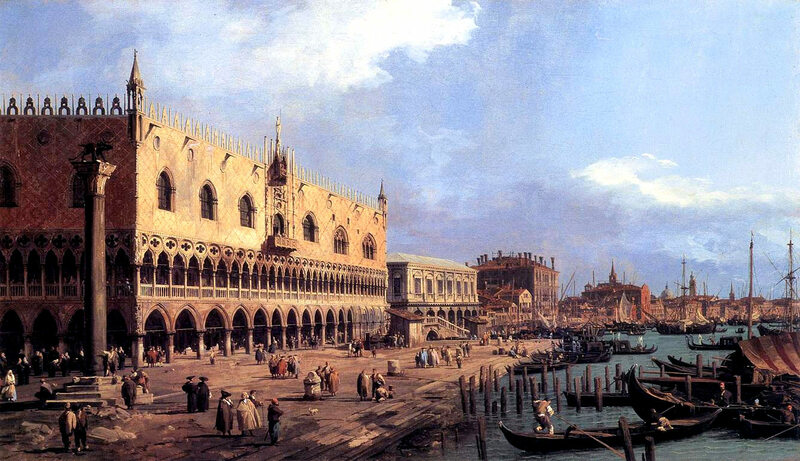 Title: The Doge’s Palace and Riva degli Schiavoni, Venice. Date: c. 1730. Materials: oil on canvas. Dimensions: 59.5 x 101.5 cm. Source: http://www.artinvest2000.com/canaletto_riva_schiavoni.jpg. I have changed the light of the original photo. This entry was posted on May 5, 2016 by adfarga. It was filed under Canaletto, Tatton Park and was tagged with Canaletto.